2001 Astondoa 95 GLX MAJOR REDUCTION! ESTATE SALE! MUST GO! 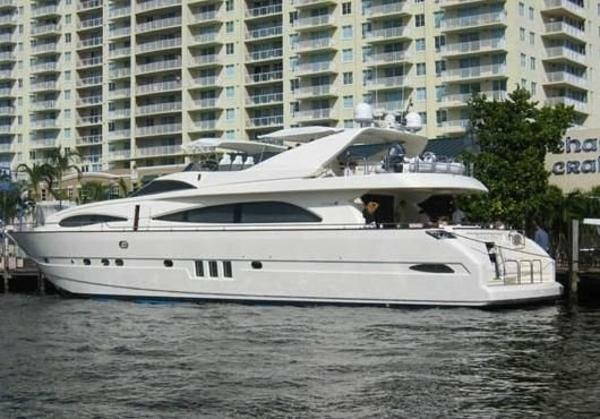 This beautiful 95' Astondoa was refitted in 2003, 2007/08 and again in 2010. The lavish interior features highly varnished matched burl olive and pear wood with inlaid marquetry, and rich fabrics. The yacht has two similar sized double bed cabins and a smaller twin bed cabin. The plan shows another cabin on the main deck. This is used as an office available for guests. 2001 Astondoa 95 GLX This beautiful 95' Astondoa was refitted in 2003, 2007/08 and again in 2010. The lavish interior features highly varnished matched burl olive and pear wood with inlaid marquetry, and rich fabrics. The yacht has two similar sized double bed cabins and a smaller twin bed cabin. The plan shows another cabin on the main deck. This is used as an office available for guests.